What was your first experience with the GrabCAD Community? 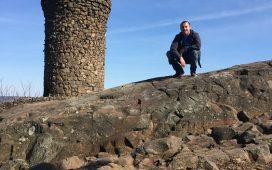 How did you learn about it and what led to you becoming active as a member? In high school I found GrabCAD because I was looking at Thingiverse and I wanted to be able to manipulate those files, but they didn’t have the files I wanted. I found that GrabCAD had a lot of SOLIDWORKS files, so now I can manipulate these SOLIDWORKS files, and I just learned that way. 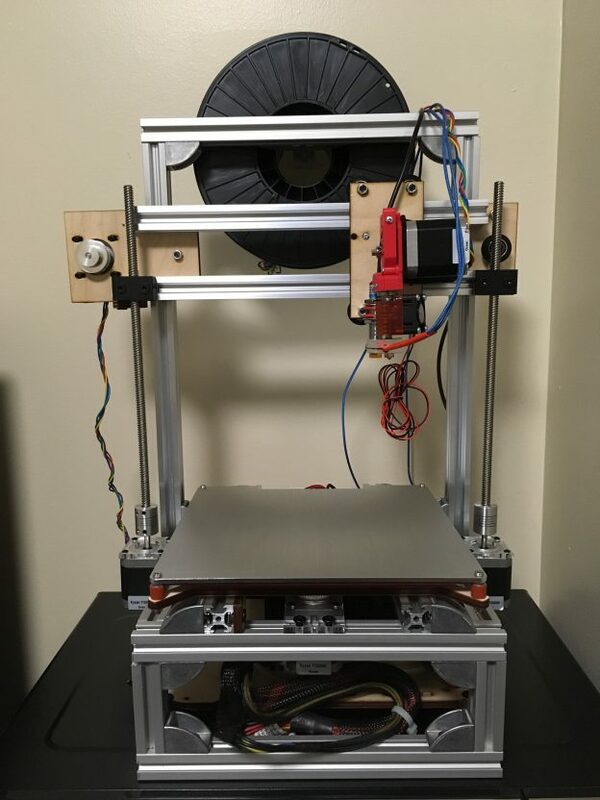 The 3D printer that Julio C. Figueroa built by using models he found on the GrabCAD Community Library. I understand that you built your own 3D printer based on parts you found on the GrabCAD Community Library? 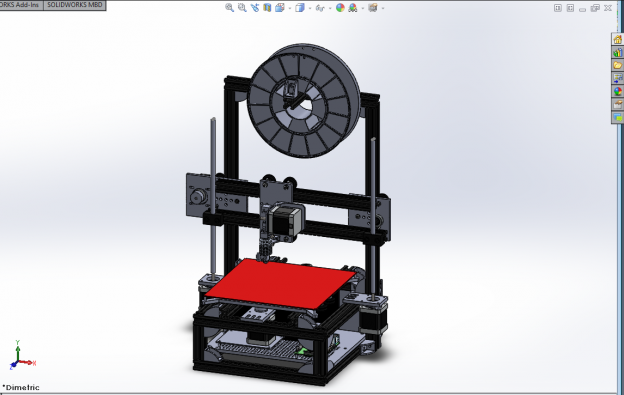 The CAD version of the 3D printer that Julio C. Figueroa designed and built by using parts from the GrabCAD Community. I CADed it up based on parts I found in the GrabCAD Community Library, measured things out, and manipulated some of the files and basically made a RepRap 3D printer that runs Marlin RAMBo and I use a Raspberry Pi for OctoPrint, which basically allows me to queue it on my local network whenever I feel like it. It took me about a semester to build, because after I CADed all the parts I didn’t just go out and buy all the parts because I’m a poor college student. I was looking for the cheapest parts possible and using what I had around me. I went to the MIT flea market for a lot of the parts, and there were some parts laying around at my school that they weren’t using. You’ve also started your own company? Tell us a little about that and if some of the things you’ve learned from the GrabCAD Community helped you with that as well? Right after I built the 3D printer, I was at the innovation center here on campus and a team approached me. They saw what I did and asked me to join their team. I built their prototype. I CADed it up in SOLIDWORKS. Basically, the company is a concrete molding company where they are building solids for buildings to have a more natural looking curve for aesthetics. I’ve been working on this since last year, and we’ve won over $8,000 in funding thus far for the automated prototype we are working on right now. We are calling the machine VariMold. It sounds like you have a bright future ahead of you. What do you have planned after college? Right now, I work for MITRE, a government research facility. I’ve been working with the Air Force on some projects, so it looks like I have a job set there after school. They’ve been grooming me since my junior year of high school. But, I’m not sure, I might go into healthcare. It’s sort of a toss up for me, because I’m really interested in a lot of different fields. You mentioned you first found out about GrabCAD in high school. How do you think being a member of the Community has helped you grow and expand your knowledge over the years? I really like being a part of the Community. They’re pretty responsive. If I have a question, I will just post it and someone will get back to me. Plus, I can look to other people’s projects for ideas and inspiration.